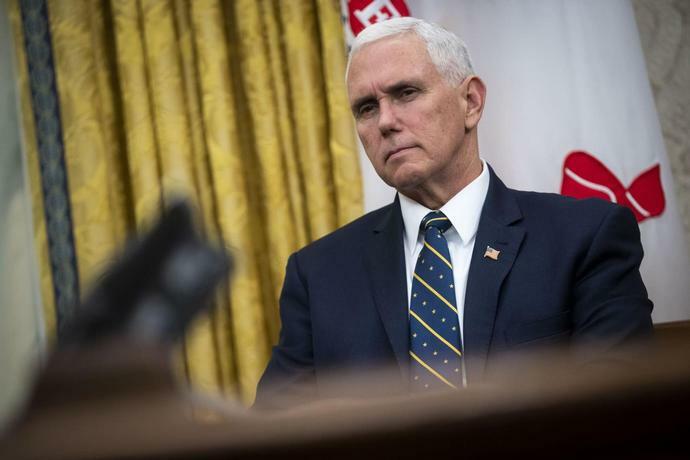 (Bloomberg) -- Vice President Mike Pence said the five-week partial government shutdown wasn't a mistake and that he can't guarantee there won't be another, emphasizing President Donald Trump's determination to curb unlawful immigration. "I never think it's a mistake to stand up for what you believe in," Pence said in excerpts of an interview with CBS News aired Wednesday on the network's morning show. "The American people saw this president is absolutely determined to keep his word to secure our border and end the crisis of illegal immigration." CBS anchors said Pence wouldn't guarantee that there won't be another shutdown in portions of the interview that will be broadcast later Wednesday. Congressional negotiators are working to strike a funding deal for increased security measures along the U.S. border with Mexico after Trump ended the longest-ever U.S. government shutdown by agreeing to a short-term measure that expires Feb. 15. Trump had shut a swath of government agencies for 35 days over his demands that Congress provide $5.7 billion for a border wall, which Democrats oppose. The interview with Pence came the morning after Trump's combative State of the Union speech, which was delayed a week by the shutdown. Trump offered Democrats nothing in exchange for their votes in favor of a wall but stopped short of declaring a national emergency Tuesday night. Teen Found Wandering Around Kentucky Is Not Missing Boy Timmothy Pitzen. He's Actually a 23-Year-Old Man. Did Jussie Smollett receive special treatment from the Cook County State's Attorney's Office?